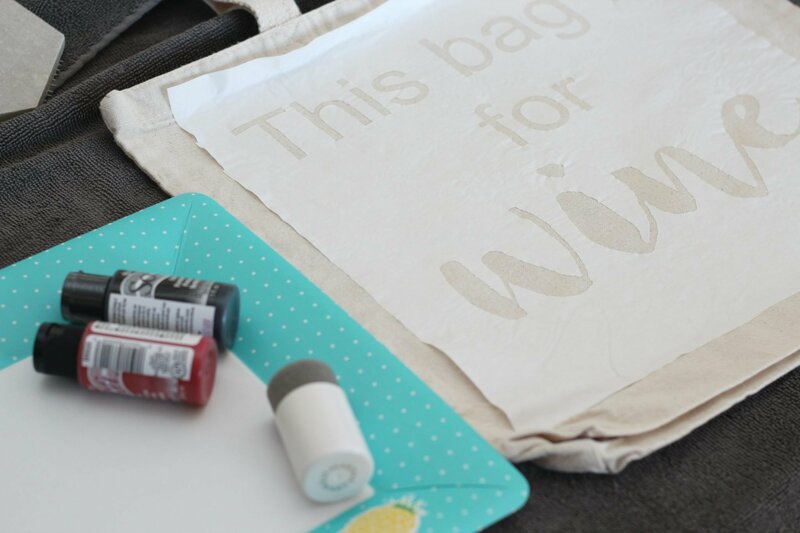 Design your own canvas tote using freezer paper stencils. 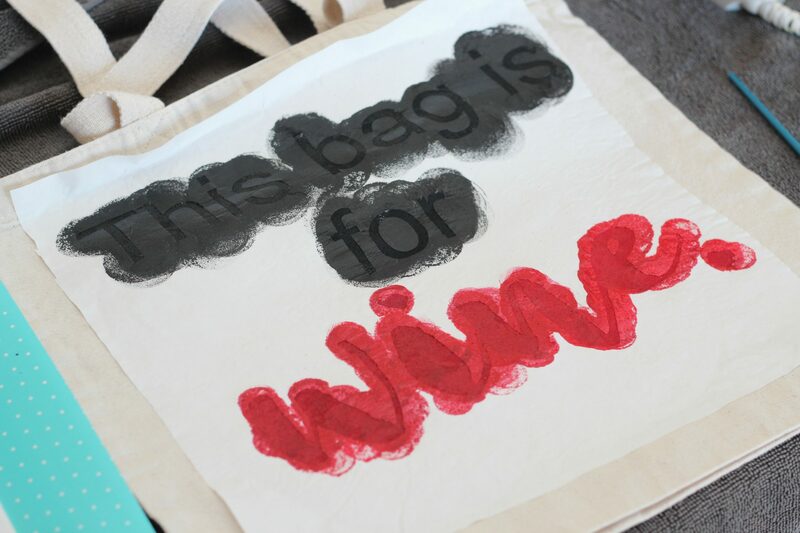 This freezer paper stenciled tote is perfect for going to the market or as a gift! I just want to start off by proclaiming my love of canvas tote bags. Actually, strike that. I really, really, really dislike those plastic sacks they give you at the supermarket. They don’t even ask anymore if I prefer paper or plastic, they just throw my food into those flimsy bags, and it’s all over the trunk of my car by the time I get home from the market. Plus, they are a pain to recycle and are just junk. Which leads me back to my love of tote bags. Particularly canvas ones because they are washable, and last for a long, long time. Tote Bag Factory sent some PR samples of their canvas totes and I’m so excited to create with them. They are like a blank canvas…literally! 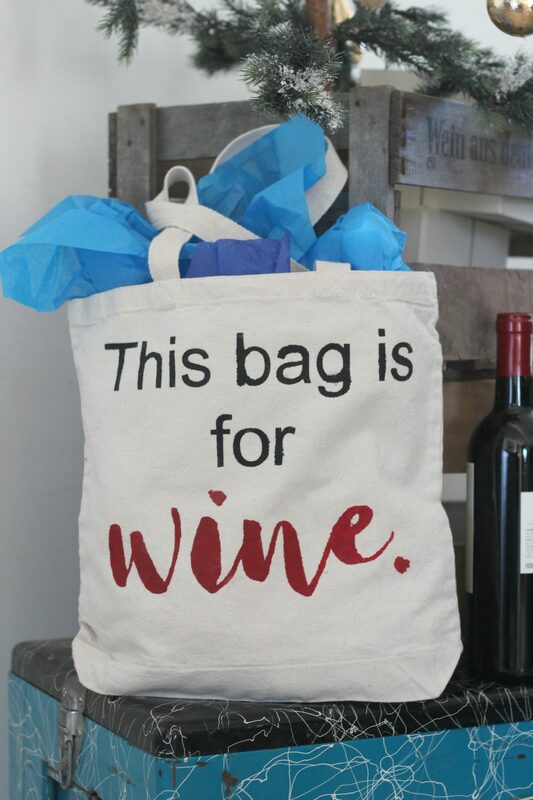 This tote makes a perfect gift for the wine lover in your life. It’s cute and a little sassy honest. I used a digital cutting machine to cut the letters out of freezer paper, but you could easily create the same look using stencils from the craft store. 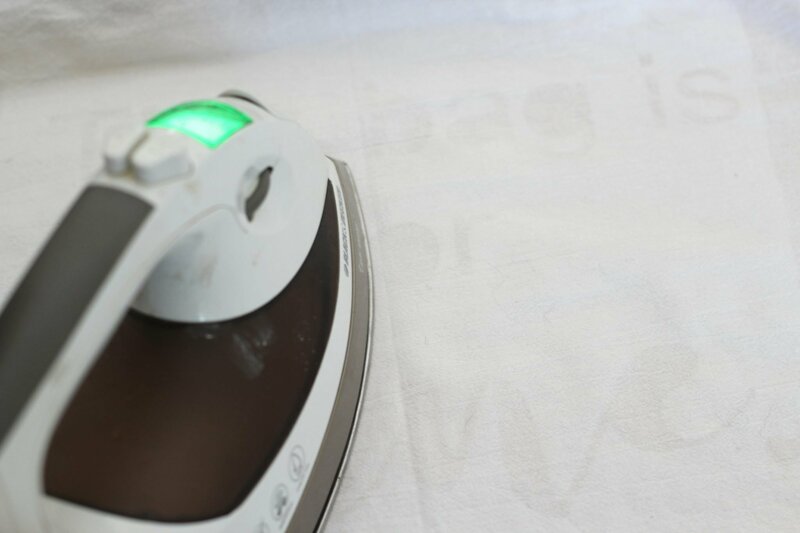 Wash the canvas tote and dry without using any fabric softener or lay flat to dry. The canvas will shrink a little, so don’t skip this step. Cut out your design using the freezer paper. 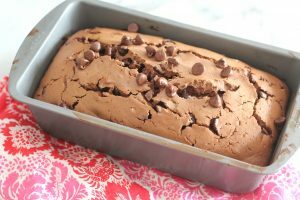 Make sure you design it so that the glossy side of the the freezer paper faces down. 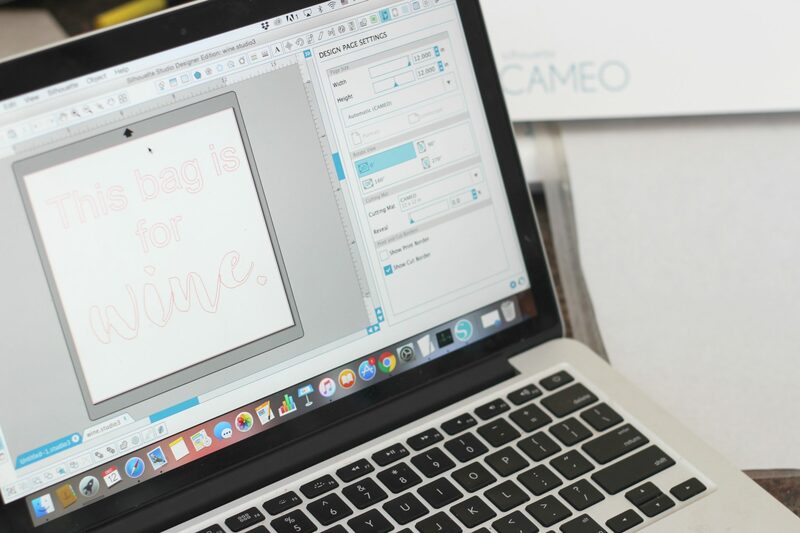 If you are using a craft knife to cut out your design, it’s easiest to draw or print your design on paper, then place it under the freezer paper and cut it like you are tracing the design. Remember to keep the middle parts of letters like a, b, g, o, p…etc. Heat up the iron, making sure the steam is off. I made the mistake of having it on, and the freezer paper didn’t stick well and warped a little. Lay the freezer paper cut out on to the tote, glossy side down and cover with a flour sack towel or other thin towel. Iron on the freezer paper, checking the edges of the cut-outs to make sure they are stuck down. 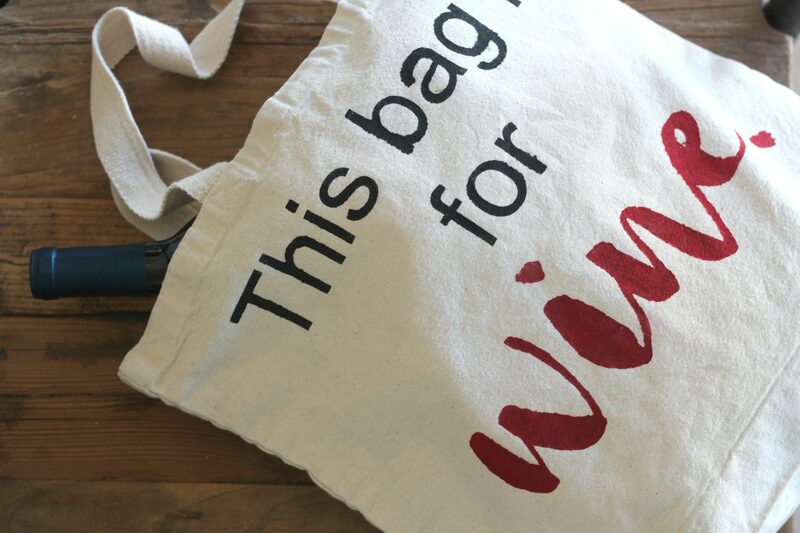 Need other gifts for a wine lover? Then check out this Wine Lover’s Gift Guide! Using a foam pouncer, dip the pouncer in a bit of fabric paint. Pounce on paper a couple of times, so the paint isn’t too thick. 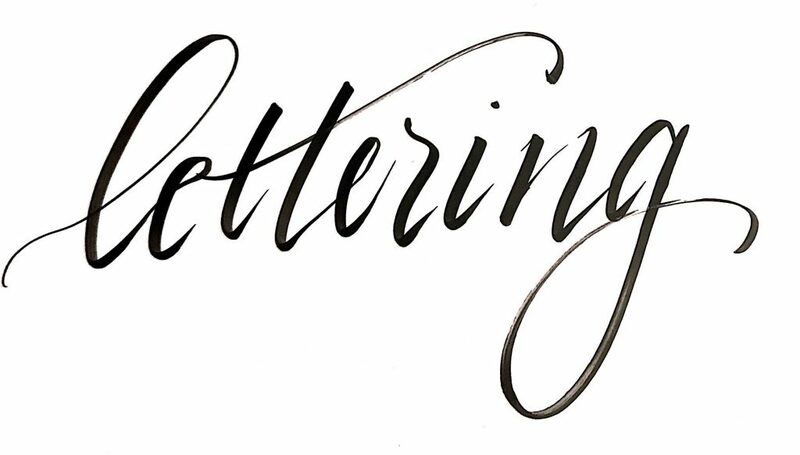 Pounce the paint on to your design lightly. It’s best to use two thin coats rather than a thick coat. Once done, let dry then peel off the freezer paper. Follow the directions on the fabric paint, but mostly you will wait for the paint to dry for 24-48 hours, then iron it again. This tote is perfect for grocery shopping or gift giving. Fill it with wine and other goodies and give it to your favorite hostess! Tote Bag Factory has a ton of affordable totes in a variety of materials to choose from. Be sure to check them out! I didn’t realize freezer paper stencils were so easy! I’ll have to revisit them now that I know. Thanks for the tutorial! This is the perfect gift idea for so many of my friends! 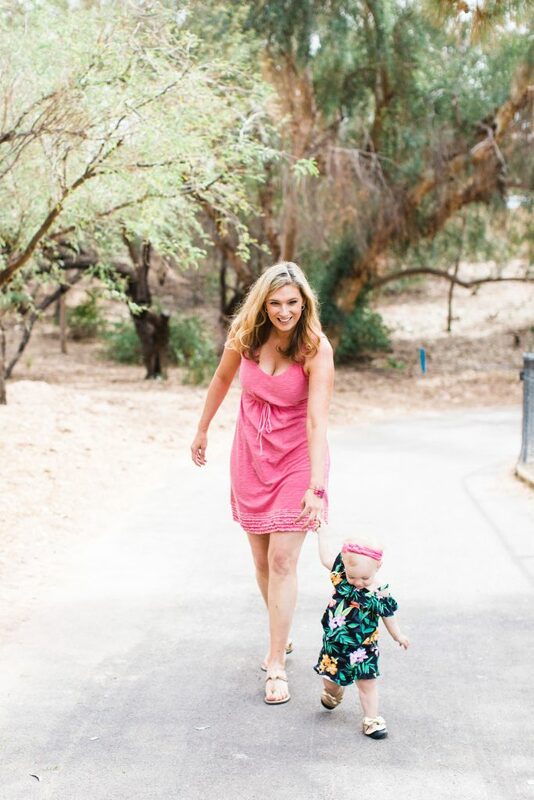 Thanks for sharing and linking up with me On the Edge.